50 days since the first earthquake hit Nepal, relief efforts are slowing down due to donor fatigue and tough regulations by the government. In the post disaster scenario, people in many parts of Nepal are still sleeping under the open sky. Figures by international agencies place the death toll at around 8500 and close to 18,000 people have been reported injured. One fifth of the population has been directly affected. Roughly 150 kilometers away from Kathmandu and closer to the epicentre, many pockets in Nuvakot District have faced 100% damage. People complain that they have not seen anyone from the government except engineers who hung signs that mark buildings ‘unsafe’. 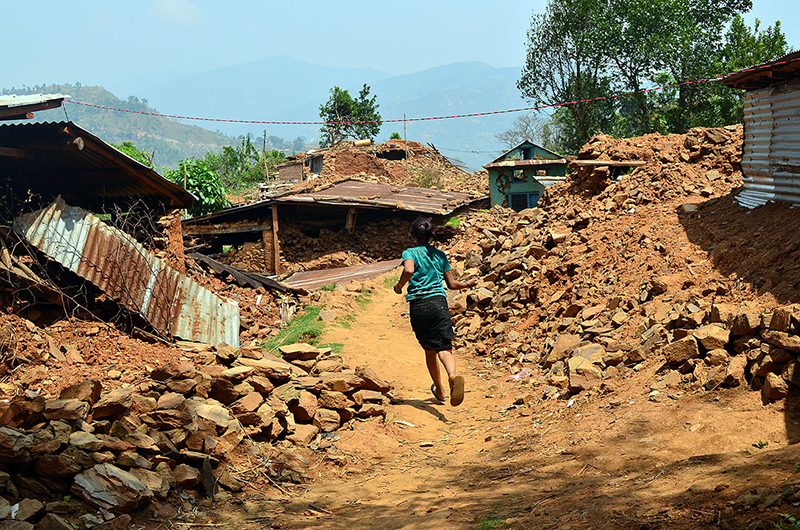 While the worst hit areas of Sindhupalchowk and Gurkha have been the prime concern of government and nongovernmental relief organisation, the district of Nuvakot has been largely ignored. Thanks for re blogging :).